Above Material Technology Co., Ltd. Above Material Technology Co., Ltd (AMT) is specialized in R&D and Manufacturing, and holds annual production capacity 100 tons in superior Titanium Wires & Titanium powders for welding and 3D Printing or Additive Manufacturing. AMT also can manufacture performance medium complex 3D Printing Parts using titanium wire by Wire+arc additive manufacture (WAAM) up to 6 meters large. Our Titanium Wires are silver shiny spooled wire with Low Impurity and Level Winding as well as Superior Strength and Superior Elongation. AMT Titanium Rod owns pretty logo printing and neat end-cut. The diameter of AMT Titanium Wires and Rods can be 0.1-5.0mm. Our Titanium Powders are highly spherical with excellent flowability as well as few satellite and porosity. The oxygen and other contaminants are very low and the particle size distribution is tailorable. With innovativeness, strictly quality control, competitive price and extensive technological expert, we are committed to high quality customer demand and can always keep high quality owing to consistent process and quality management. New plant is under construction. ALD Vacuum Technologies GmbH, located in Hanau, Germany - a company with a long and rich tradition, is the leading global supplier of processes and services in the field of vacuum process technology. With its matured technological specialties – vacuum metallurgy and vacuum heat treatment, ALD is a strong partner of important and growing branches of industry. To the rapid rise in the titanium industry, ALD vacuum metallurgical equipment makes outstanding contributions. The processes are mainly employed for the production of special steels, high-temperature alloy, refractory and reactive metals (tantalum, niobium, titanium and zirconium) and their alloys which meet the requirements on the properties and performance of these advanced remelted materials of the aerospace, power generation, defense, medical and nuclear industries. ALD is company of the AMG Advanced Metallurgical Group N. V., Netherlands. ATI is one of the largest and most diversified specialty materials and components producers in the world. As a fully integrated supplier from raw material (titanium sponge) and melt (specialty alloy systems) through highly engineered finished components, we use innovative technologies to offer growing global markets a wide range of specialty material solutions. Through unsurpassed manufacturing capabilities, industry-leading alloy systems, mill products, and engineered castings and forgings, ATI offers a unique supply chain solution that Creates Value Thru Relentless Innovation®. 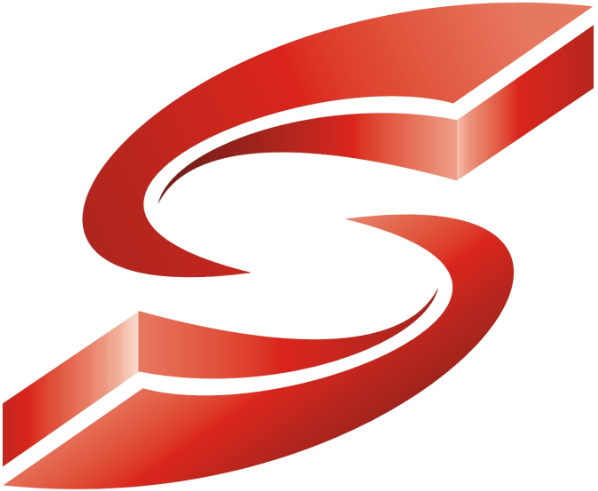 SNA Europe is the premier pan-European manufacturer of hand tools and saws, part of Snap-on Incorporated. We design and manufacture tools and saws tailored to the most demanding professionals, focusing our design highly on innovation, performance and ergonomics. As innovators for over 165 years, we have introduced the most advanced tools in the world, and sell through distributors with whom we build long-term partnerships. 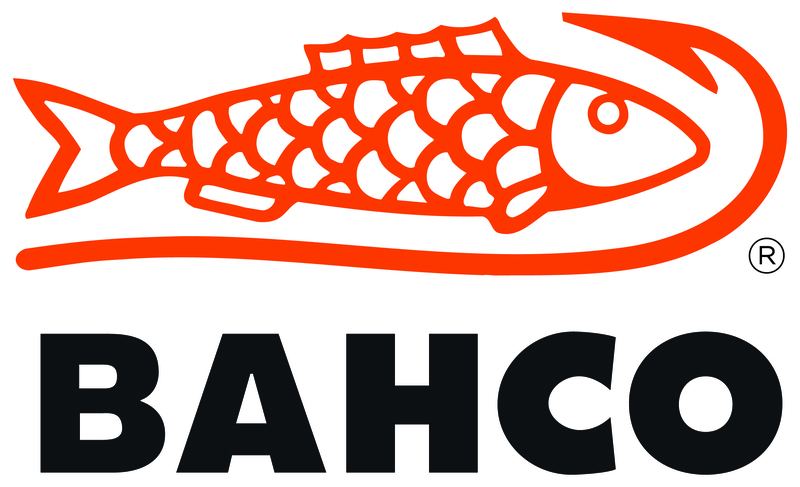 Bahco products are overwhelmingly manufactured in our own factories located across Europe and offered by our partner distributors to the professionals. To provide the best quality tools to our partners, we are sharing throughout the organization common values on safety, health, quality, ethics. Discover our values here. Baoji - China Titanium Valley is located in Baoji City, Shaanxi Province, the core area is Baoji high-tech zone. It is the biggest production base of titanium and titanium alloy. In 2008, the National Development and Reform Commission approved the establishment of "Baoji national new materials high technology industry base." In the same year, the National Ministry of Science and Technology approved Baoji titanium industry base as “titanium industry base of National Torch Plan." In 2009, the State Ministry of Commerce and Ministry of Science and Technology approved the establishment of the "National Science and Technology Innovation Base." In 2010, the State Intellectual Property Office approved Baoji high-tech zone as "state intellectual property Pilot Park." In 2011, Baoji High-tech Zone was identified as "the national new industrialization (titanium and deep processing) demonstration base” by the National Ministry of Industry and Information Technology. And in the same year, titanium industry innovation cluster of Baoji - China Titanium Valley was identified as the first batch of 41 innovative industrial clusters pilot, establishing Shaanxi titanium and rare metal materials industry alliance and technology innovation strategic alliance. In 2013, Baoji high-tech Zone was identified as the first batch of experimentation area of national patent navigation industry development by the State Intellectual Property Office. Welcome to Baoji Hongsen Titanium Metal Manufactory Co.,Ltd, manufacturer of Non-ferrous Metals, is located in Baoji Hi-tech Development Zone, Shaanxi Province. Over 20 years supplying the Industrial, Chemical, Petro-Chemical, Oil & Gas, Power Generating, Heat Exchanger, Refineryand Marine markets, we have established a reputation for competitive prices, professional services and short delivery time. Shaanxi Tianbang Import & Export Co., Ltd is located in Baoji, a beautiful city with elegant environment. Here is the transport hub which connecting the east and west, to the southwest and northwest of nationwide. It is not only the birthplace of Chinese descendants, but also the famous “Titanium City” with the importance basic manufacturing industry. The factory is located at No.26, Taicheng Middle Road, Baoji city, Shaanxi Province, China. We are directly factory. We mainly do research and development, production and selling non-ferrous metals (such as Titanium, Nickel, Zirconium, Niobium, Tantalum, Hafnium, Tungsten, Molybdenum, Copper and their alloy). Products including chemical equipment and its accessories, machinery equipment, non-standard equipment, electrolytic plating equipment, copper foil equipment, pipe and fitting, fasteners, high-performance metals, special alloy material. 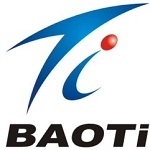 Baoji Titanium Industry Co., Ltd., as one of subsidiary companies of Baoti Group, was listed on Shanghai Stock Exchange on April 12, 2002. Being China’s biggest production R&D base for titanium and its alloy in China, Baoji Titanium Industry Co., Ltd. is the “National high and new technology enterprises” and one of first 520 enterprises of "Honouring contracts and keeping promises," and is honored as "Titanium City in China." Baoji Titanium Industry co., Ltd., as major manufacturer of National aerospace materials, up to now, has undertaken over 6000 projects of new material production development in defense military industry and sophisticated techniques, and has achieved 485 items of significant scientific & technological results. The company has made such a contribution to the successful explosion of China’s first H-bomb. the launching of China’s first nuclear submarine. the recovering of the Soft-Landing satellite. the launching of launch vehicle first to Pacific waters and successfully launch of Shen Zhou spaceship. Equipped with the state of art main facilities, Baoji Titanium Industry Co., Ltd. had formed advanced and integrated titanium production system. The production range include more than 300 varieties and 5000 specifications. These products are widely used in the field of aeronautics, aerospace, navigation, metallurgy, petroleum chemical industry, power, electronics, medicine, ocean engineering, architecture, sports etc. and have been sold all over the world. Baoji Tongrun Metal Materials Co., Ltd is located in BAOJI which is well known as “Titanium Valley”. It was established in 2008, a comprehensive enterprise engaged in manufacturing, processing, developing and selling titanium and titanium alloy and other non-ferrous metal materials. Adjoining China Northwest Nonferrous Academe and supported by BaoTi Group Ltd together with more than 20 sets of high precision machine, such as griddling machine, rolling mill, shearing machine, leveler machine, annealing furnace, Baoji Tongrun Metal Materials Co., Ltd manufacture titanium and titanium alloy materials in forms of plate, bar, tube, wire and medical titanium materials.Products have been sold far to America, England, German, French, Turkey, Japan, Korea ect. and enjoyed good reputation both domestic market and abroad because of excellent quality and perfect technique. Based on operation principle “Quality first, Customers first ”, Baoji Tongrun Metal Matrials Co.,Ltd take customers as the core and devoted to technology developing and the products quality to meet customers requirements. It has gained many excellent achievements with the professional technology. The first-class quality and credibility are the fundamental to our survival, customers’ satisfaction is our eternal pursuit. Baoji Tongrun Metal Materials Co., Ltd with all the staffs are looking for cooperation with friends all over the world to make progress together. Warmly welcome friends from all areas to visit, email, negotiate and cooperate. By the way TI-TEK [UK] LTD of UK is our general agent In the UK / Europe. Baoji Yongshengtai Titanium Industry Co. Ltd.
CONSARC Engineering Ltd are world leaders in the design, manufacture, installation and commissioning of vacuum and controlled atmosphere furnace equipment. Over fifty years of experience have gone into developing our vast thermal processing technology product range to process the most advanced materials for critical and demanding applications. Today, over half the vacuum or controlled atmosphere melting furnaces around the globe bear the Consarc name. 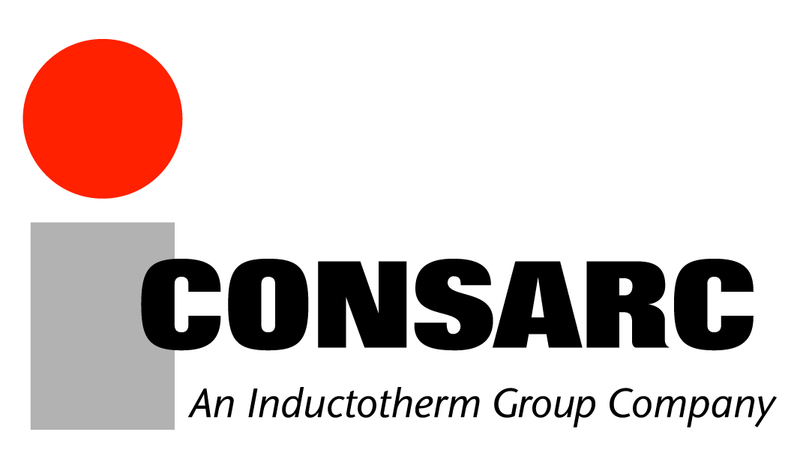 CONSARC is an Inductotherm Group company, a strategic part of one of the world’s largest groups developing technologies for the melting and processing of high-performance metals and alloys. ISO 9001 certified, with operations worldwide, Consarc is well equipped to tackle furnace projects on a global basis. CSM is one of the largest manufacturers of titanium, nickel & nickel alloy, stainless steel products in China. With 20 years experience to supply titanium sheet/plate, seamless tube/pipe, bar/wire etc. in the international market, CSM becomes the well know brand in titanium industry of the world. Aim to be the top manufacturer of special materials in China, CSM is on the way. ELG Utica Alloys is one of the world's leading specialists in revert management, and high-performance alloys and metals. With globally 9 processing facilities, 10 offices and over 50 years of experience, ELG Utica Alloys provides their customers with best in class service and value. As a service provider for MRO companies ELG Utica Alloys conducts the collection, controlled transport, certified destruction and sorting of life limited parts and entire engines. These mutilated parts will be upgraded and led back to the recycling stream. These are achieved using a variety of means, a selection of which are described on the EPMA Activities page. We at the EPMA serve all types of member organisations; from component, metal powder, and equipment producers to end-users, research centres, universities, and individuals who have an interest in PM. Information on EPMA Membership services and benefits for your company can be found on the Member Benefits page. European Powder Metallurgy Association is governed by its legal Articles of Association (Statutes), which were updated 8 April 2016 by approval of the General Assembly. On a daily basis, EPMA operates under its Bylaws (internal regulations), which were also updated by approval of the General Assembly on 8 April 2016. 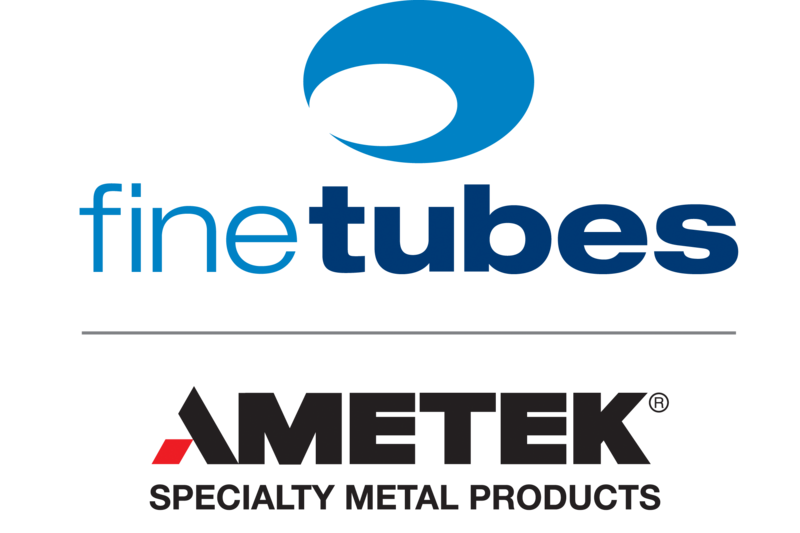 Fine Tubes, part of AMETEK Specialty Metal Products, is a leading global manufacturer of precision tubing in high performance titanium, stainless steel and nickel alloys. Based in Plymouth, UK, Fine Tubes manufactures tubes in both seamless and welded forms used in critical applications across a range of specialty markets including aerospace, medical, oil and gas and nuclear. The tube mill has achieved NADCAP approval for Ultrasonic Testing, Heat Treatment, Fusion Welding, Chemical Processing and Fluid Distribution Systems. FRIGGI N.A. INC, provides premium metal and aluminum cutting solutions to the North American market. With over 70 years manufacturing experience, we now offer large vertical plate and block saws, large Gantry bandsaws, high-speed carbide saws, plasma, and waterjet cutting solutions. Within our product line we offer specialized equipment to cut challenging materials like Titanium or exotic metals with extreme precision and performance. Our plate saw capacity is over 20' and our Gantry models will cut material up to 140" with minimal material handling. Machines are available in semi or fully automatic version to cover any requirement. We service many key market segments including aerospace, automotive, steel service centers, forging, and others. Whether the application is to cut ferrous or non-ferrous material for ingot, bar, block, or plate we offer the best cutting solution for our clients' production needs. 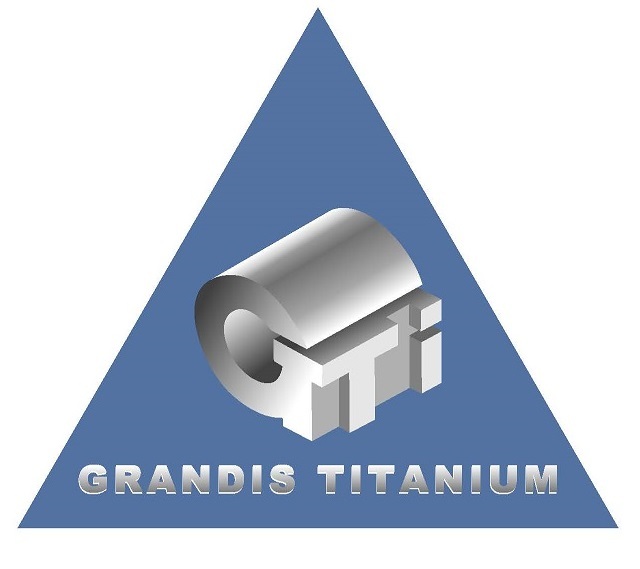 GRANDIS TITANUM COMPANY is a Major Worldwide Supplier of titanium products: Titanium Sponge, Titanium Ingots, Titanium Bars & Billets, Titanium Sheets, Titanium Plates, Titanium Wire & Tubes and Ferro-Titanium. HQ and main warehouse located in Rancho Santa Margarita, CA, and sales and representative offices in Glenmont (Ohio), Albany (Oregon), Harbin (China), Ekaterinburg (Russia), and Seoul (South Korea), along with warehouses facilities and stock in Paramount (CA), Rotterdam (Netherlands) and Xian (China). Hempel Special Metals Group is distributor for Titanium, Nickel Alloy and Zirconium from stock. Our companies with Service Centers are located in Switzerland, Germany, UK, Poland and Hong Kong/China and sales representatives in Italy, and Ireland. We have competence centers for the chemical process, the oil & gas, the aerospace, the medical and the watch industry. Beside all standard titanium grades we stock special grades (Grade 4, 5, 5-ELI, 7, 9) in bars, sheet/plates and tubes. Our services include individual stocking, cutting, sawing, plasma, laser- and water jet cutting, individual bar marking and turning. We supply material tailor made and in packages for special projects. On our Metal Exchange Econoxx.com you can buy and sell titanium a.o. material. Hermith GmbH is one of Europe’s leading producers and stockists of titanium products serving customers worldwide. Hermith GmbH serves a range of industries: Automotive, Aerospace, Defence, Oil and Gas, Additive Technology, Medical, Precision Mechanics, and many more. Hermith GmbH advantage is due to a Joint Venture with a Russian Producer of Titanium. This gives us scope to directly perform R&D, with our Engineers having a direct link to the production, allowing us to rapidly respond to the needs of our customers. This close link also gives us extremely short lead times on newly ordered material, something not available with other high quality Titanium producers. We are proud to hold one of Europe’s largest inventories of general and advanced titanium alloys. Our product range consists of: Sheets, Plates, Welding Wire, Wire, Bars, Billets, Ingots, and Seamless Tubes. We also offer a wide range of final titanium products for various industries including the Automotive industry. Products such as: springs, antiroll bars, fasteners, forged details and other products. All of our competitively priced material is multi-specification according to major aerospace standards and are also able to serve to a range of other applications. Many of Europe’s leading Aerospace, Automotive, Defence and Medical Companies entrust us with the responsibility to provide their titanium materials and final products. In 2016, Hermith GmbH was awarded as "The best Bavarian export Company of 2015/2016". All orders are expedited with supreme care, so that our customers are left fully satisfied. Hunan Xiangtou Goldsky Titanium Metals Co., Ltd.
Hunan Xiangtou Goldsky Titanium Metal Co., Ltd. is the 1st wide titanium coil producer in China with a vertically integrated industrial chain from sponge-slab-hot rolling-cold rolling and also equipped with advanced automatic production lines, e.g. SMS Siemag 20 high cold roll mill. Manufacturing capacity 10,000tons yearly involving Gr.1, Gr.2, Gr.3, Gr.4, Gr.5, Gr.9, Gr.12, and customized specification well ordered. Hot plate from continously coil rolling or single rolling also delivered. 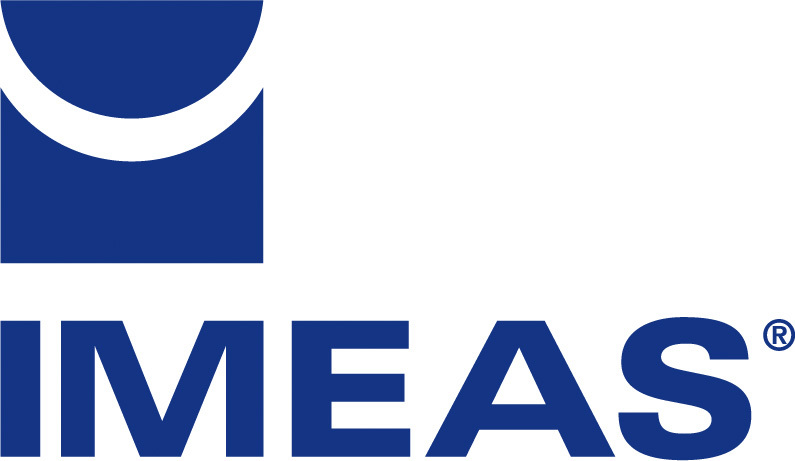 The present industrial complex of IMEAS spa lies on an area of 25.000 m², of which 7.000 m² are covered and dedicated to production, assembling and delivery activities. Administrative, commercial, technical offices and archives are located in a two levels building of 1.500 m², just in front of the production area. The most important activities for the manufacturing of IMEAS machine such as the milling of the frames, supports and reducers boxes and the turning, grinding and balancing of all rolls (about 2000 a year) are carried out inside the production area. Qualified staff, efficient machines and a modern metrology department equipped with state-of-the-art instruments allow keeping the production level on extremely high quality standards. Independent Forgings and Alloys Ltd.
IFA is a premium supplier of high integrity titanium forged products to quality markets globally. Our specialist forgings include seamless rolled-rings, forged discs, forged shafts and forged bars which are used as the near net shape raw material for subsequent finish machining to a wide range of components. We have created a fully integrated metals service centre which has grown to be a leading provider of quality open-die forgings used for safety critical components to operate in severe service conditions. We participate in the high technology markets of Aerospace, Energy, Oil and Gas and Power Generation (including Nuclear) and high-end Advanced Engineering. Our flexibility and scale of operations means that we can provide both highly specialised “one-off” forgings as well as volume production and meet customer deadlines for delivery. Hirework, or toll forging, of customer owned material is also offered. Located in Sheffield, UK for over 250 years, our plant is an ISO 9001, AS 9100 D, ISO 14001, OHSAS 18001, Lloyds Register of Shipping & NADCAP Metals Manufacturing, Heat Treatment, Testing and Inspection accredited facility, ensuring we meet exacting customer quality expectations. We firmly believe that "forging partnerships" between IFA and our clients is vital for the 21st century and its demands. Industrial Metals International Limited (IML) is a full-line Steel Distributor. IML specializes in the supply of Titanium, Aluminum, Stainless, Alloy, Nickel, and Bronze products. Our warehouse stocks Bar, Tube, Sheet, Wire, and forged products that are all available for same-day shipments. IML is one of the few suppliers approved by Boeing, Airbus, Pratt&Whitney, Rolls Royce, UTAS, Lockheed Martine, Bell Helicopter, Embraer, and Bombardier. Allow us to meet all of your quality requirements. The INTECO Group located in Bruck an der Mur (Austria) was founded in 1973 as a consulting company for the stainless steel industry and has been managed by Dr. Harald Holzgruber since 1998. A young, dynamic workforce of 200 in Austria as well as a further 200 highly qualified employees who work in subsidiaries in Brazil, China, India, Italy and the USA, contribute to the company’s consistent success and combine many years of expertise with know-how. INTECO is the only supplier worldwide that offers and has already commissioned innovative plants and technologies for the entire process chain for manufacturing steel and super-alloys. This comprises all kinds of Ingot Casting and Continuous Casting plants as well as remelting units, in addition to melting and secondary metallurgical treatment. INTECO’s product portfolio also includes rolling mill solutions and industrial furnaces. As future technologies, INTECO provides plants for manufacturing metal powders and plants specifically for titanium production. INTECO offers automation solutions for individual units as well as plant-wide systems that are tailored to the customer’s exact needs. The entire team and the INTECO brand are synonymous with bespoke solutions for customers, innovative product engineering, a high degree of flexibility and processing that is administrated in a spirit of partnership. Market leaders in the steel production industry around the world rely on the plants designed and developed by INTECO. Jiangsu Hongbao Group Co. Ltd.
Jiangsu Hongbao Group Co., Ltd, located in Zhangjiagang City, is a professional non-ferrous metal tube manufacturer, and a high-tech enterprise and also a member of International Titanium Association, our main products are Titanium and Titanium alloy tubes, Titanium bars. The company owns a perfect management system and up-to-date techniques. It has approved by ISO9001-2000, ISO14001-2004, PED, Lowe’s & DNV etc. * Thin sheet grinding to .010"
LCMA is a well-established partner on the international market for more than two decades. We are a fully integrated processor and distributor of a wide range of semi-finished titanium and titanium alloy products for the medical, aeronautical, petro-chemical and industrial sectors. Our production comes mainly from Europe and Ukraine. 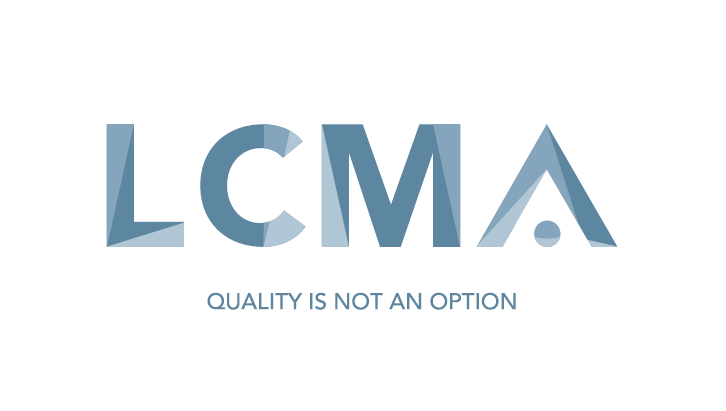 LCMA is ISO 9001:2015 + AS 9100D certified. We have the ability to fulfill almost all needs of our international customers and we are continuously adapting to market changes. Our wish is for YOU to be able to benefit from our experience. We look forward to serve with our products and knowledge. Ningbo Chuangrun New Materials Co., Ltd.
Ningbo Chuangrun New Materials Company (CRNMC) is a start-up company which was established in 2012, mainly focus in manufacturing of high purity titanium. Located in Ningbo, Zhejiang Province, CRNMC possess electrolysis refining process and double-gun EB melting process in house. CRNMC also has two branches in Zunyi and Baoji, for titanium sponge manufacturing and high purity titanium processing, respectively. CRNMC provides world-class high purity titanium products in various of purities (from 99.95% to 99.999%), serves semiconductor industry, vacuum coating industry as well as aerospace industry. Not limited to high purity ingots, CRNMC supplies high purity titanium mill products such as sheets, blanks, billets, tubes and also high purity titanium powder. CRNMC produces in well-established quality control system with ISO 9001 certificate and conducts business with professional knowledge and absolute integrity. Nu-Tech Precision Metals manufactures seamless pipe, tube, shapes, bar and clad wire for use in nuclear, aircraft, military, sputtering, mining, chemical, sub-sea and corrosive environments. We produce in all grades of titanium, zirconium, niobium, nickel, copper, tantalum, hafnium, specialty stainless and carbon steels and high purity and aluminum alloys. Nu-Tech is a pioneer in the field of clad and bi-metal extrusions. Pipe sizes range from approximately 1.5” (40 mm) OD to 14” (350 mm) OD with standard or custom wall thickness to suit your requirements. Manufactured in Canada and proudly shipped worldwide, our seamless tubular products are produced via hot extrusion or forging followed by in-house finishing treatments such as cold drawing, heat treatment, honing, grinding, straightening, machining etc. Our unique extruded shapes include angles, channels, tees, straight and contoured flats, hollow squares and octagons where the extrusion process creates a "near-net” shape that reduces material and machining cost. Our AS9100 Rev C designation (and other industry approvals), as well the capability to extrude shapes up to a 12” (300 mm) circle size, sets us apart in the aerospace market. In addition, our on-site electron beam welding service welcomes your intricate projects. We work closely with our clients to find innovative solutions to your extrusion or welding prototype and production challenges, including small or prototype runs or mill run quantities – no minimums. 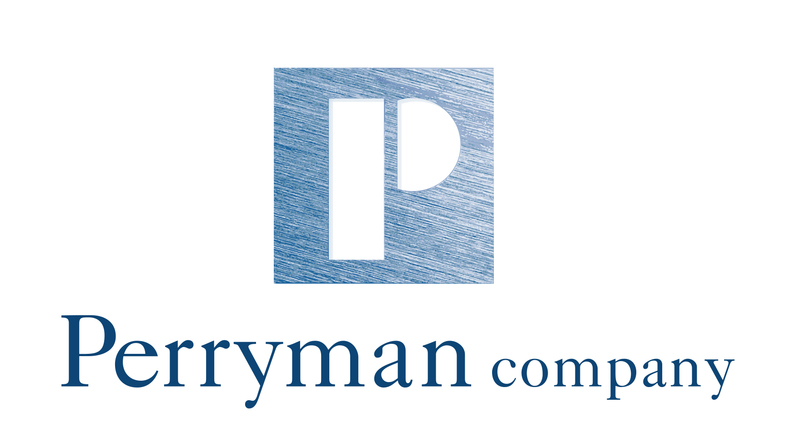 Perryman Company is a vertically integrated producer of specialty titanium products. From melting, forging, and fabrication to finished product, Perryman's quality and technical expertise is unmatched. Our Spectralloy facility is engaged in the recycling of titanium revert raw material for use in various titanium melt processes in the manufacture of titanium ingots. Perryman supplies and services customers in the aerospace, medical, consumer, and recreation markets worldwide. Approvals include ISO9001:2008; AS9100, and NADCAP. Perryman Company is headquartered in Houston, Pennsylvania. Company offices are located in Philadelphia, Los Angeles, London, Zurich, Tokyo, and Xi'an. 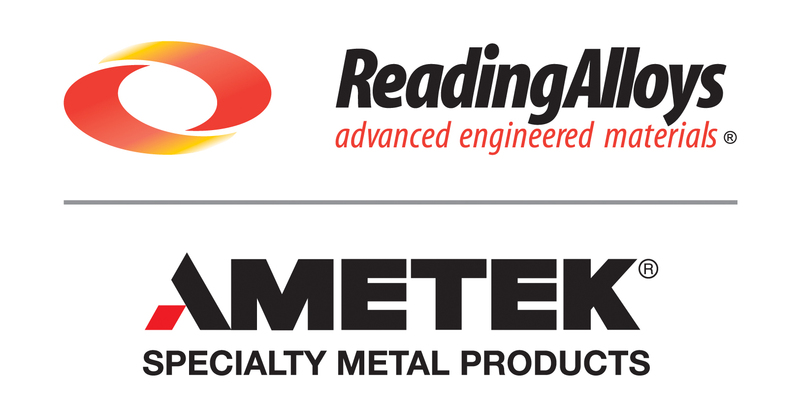 Reading Alloys, part of AMETEK Specialty Metal Products, is one of the world’s premier manufacturers of high quality master alloys and titanium metal powders. Our products are approved for use in critical aerospace and medical applications that require the most stringent quality requirements and demand the highest purity. In addition, a series of gas-atomized specialty powders for hard-facing, brazing, and thermal sprays further compliment the product offerings. We also offer toll melting, cold isostatic press, hydride/dehydride and other services. 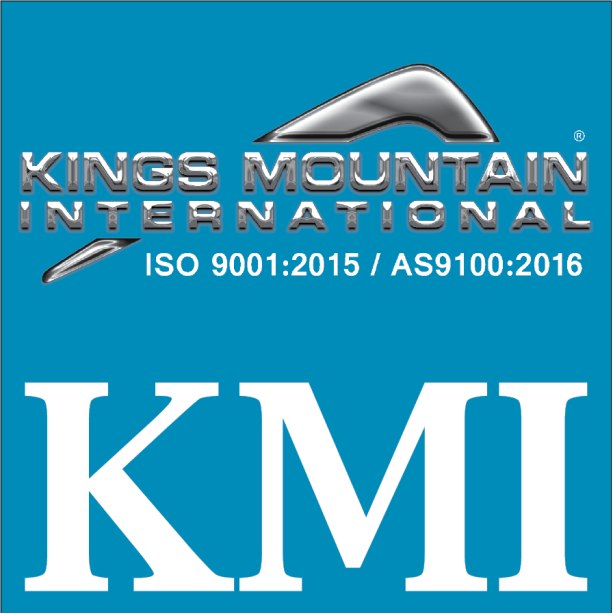 Our quality system is certified to ISO 9001:2008 and AS9100C. Our lab is Nadcap accredited. At Scanacon, our mission is to help titanium, zirconium, stainless and specialty alloy finishers achieve efficient, high quality production at the lowest cost. With over 30 years experience as the World's preferred supplier of acid management equipment, our knowledge, experience and equipment offers the producer the ability to achieve productive, efficient and cost effective finishing operation. Our solutions have consistently proven themselves across a wide range of pickling, etching and milling applications for all wrought and cast forms. Scanacon understands that ease of use, low maintenance requirements and efficiency is key to designing process equipment that delivers value, day after day. No two producers or applications are exactly alike. Delivering value requires a knowledge that can only be gained by experience and is why Scanacon continues to be the chosen supplier for acid management system by all major producers, worldwide. Since 1963, Retech has been the world’s leading provider of customized vacuum melting systems for demanding industries in ever-changing markets. Our advanced technologies have been applied to melting, refining, casting and atomizing reactive and refractory metals, such as Titanium & Titanium alloys, as well as superalloys and rare earth metals. Our fundamental melting technologies include: Plasma Arc and Electron Beam Cold Hearth Melting, Vacuum Induction Melting and Vacuum Arc Remelting. In 2011 Retech became a part of the SECO/WARWICK group of companies which has expanded our global presence through added sales, manufacturing and service centers. RETECH and SECO/WARWICK comprise the most fully integrated furnace manufacturers in the world, providing customer access to our wide range of in-house resources used for technology, material and process development. Shaanxi Aigerui Nonferrous Metals Co., LTD was established in 2009. We specialized in the manufacturing of Titanium, Zirconium, Nickel and their alloy products in China. The company introduces the talented person vigorously, and we had set up a specialized R&D, production and managing team. We have accumulated rich experience in the R&D and production of rare metals (Titanium, Zirconium, Nickel) rod, wire, plate, pipe material and pipe fitting. The products are exported to South Korea, Japan, USA, Russia, Germany, Spain and other countries, and in the field of Petroleum, Chemical Industry, Metallurgy, Shipbuilding, Medical, Aerospace, Electric power, Electroplating and Automobile industry were widely recognized by end user. Shaanxi Lasting Titanium Industry Co., Ltd. is a Major Worldwide Supplier of titanium products, we offer the largest selection of Titanium Powder, Ingots, forgings, Bars, Sheets/Plates,tube/pipes,fittings and other corrosion resistant metals .Our products are widely used in aerospace engineering, automotive engineering, chemical and process industries, electrical resistance heating, marine engineering, oil and gas extraction industries etc. With more than 20 years’ experience, we owns two mills in The Chinese Titanium City. mainly engaged in melting, forging, rolling and machining in titanium and titanium alloy. 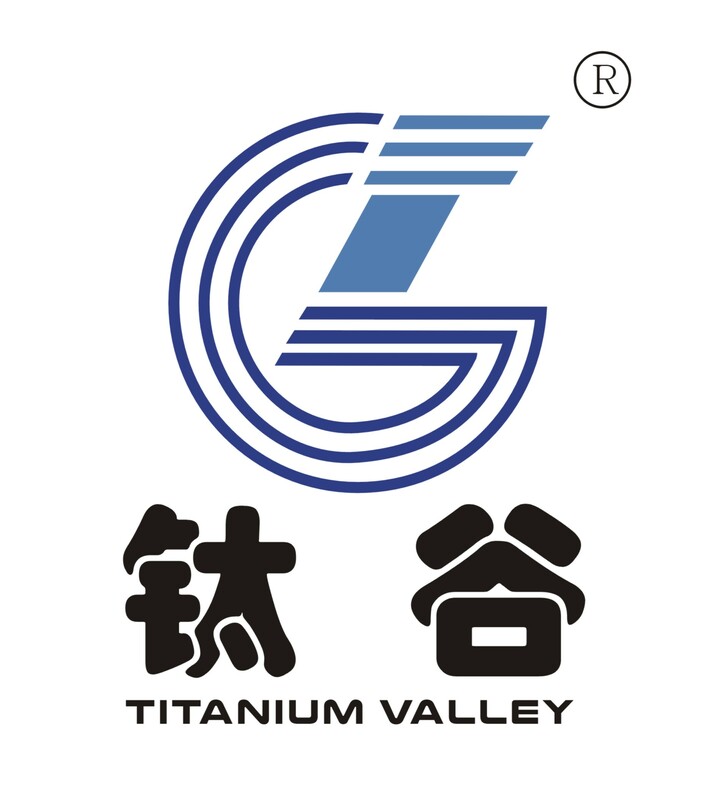 Our company titanium exports hold the record of Top 5 in China for 15 consecutive years. State nuclear baoti zirconium industry company facility is located in Baoji, Shaanxi Province, except that zirconium sponge production line in Nantong, Jiangsu Province. The production system consists of zirconium sponge production, zirconium alloy ingot melting, billet preparation, tubing, bar, plate & strip production and recycle material processing, with capacity of 2000 tons sponges,2000 tons alloy ingots,300tons plates and strips,1000 tons tubes and bars, to meet the demand of zirconium product for 100 million kilowatt level nuclear power units and petrochemical industry. Originally Luoyang Sunrui Titanium Precision Casting Co., Ltd. was the Titanium R&D Department of No.725 Research Institute (Luoyang Ship Material Research Institute) which is a branch of FORTUNE GLOBAL 500 named “China Shipbuilding Industry Corporation (CSIC)." No.725 Institute was founded in 1961. Now the Institute has developed into an integrated Industry and R&D Group (SUNRUI GROUP), based with multiple branches and specialties for research, test and manufacture of aerospace/shipbuilding/marine material and relative products. Sunrui Titanium is devoted to scientific and technical improvement in titanium industry, focusing on manufacture and service. Sunrui Titanium has entered into the international market and kept long-term cooperative relations with many famous international companies. 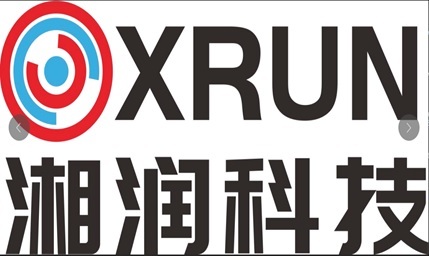 Sunrui has formed the completed titanium supply chain, been approved by AS9100 and Nadcap in 2009. Sunrui Titanium is the main titanium supplier in China. 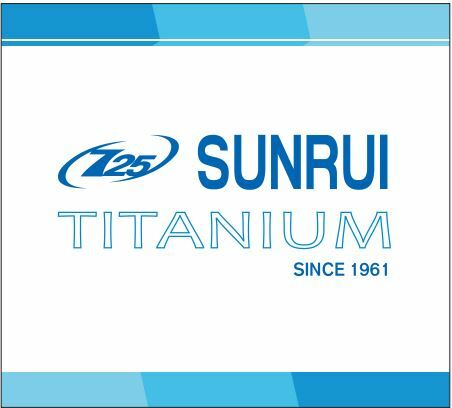 With more than 50 years' experience in titanium alloy research and development, Sunrui Titanium specially engages in the R&D and production of titanium alloy material. At present, it has many production line of melting, casting, forging, hot rolling, cold rolling, tube welding, which are equipped with international advanced EB furnace, 1000kg vacuum casting furnace. 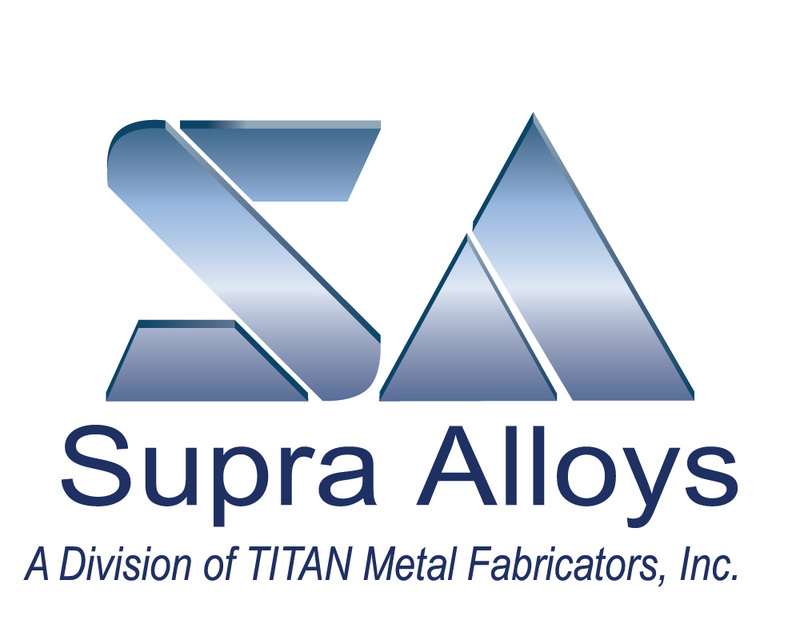 Supra Alloys, A Division of TITAN Metal Fabricators, Inc.
Supra Alloys is a Distributor of Titanium Mill Products with the convenience of extensive in-house processing capabilities. Located in California USA, Supra Alloys routinely satisfies worldwide demand for Titanium plate, sheet, strip, bar, and wire for applications in the aerospace, medical, chemical processing, metal finishing and sports/recreation industries. Supra Alloys is AS 9100C & ISO 9001: 2008 Certified. T.I. is the global leader in performance metal solutions for the aerospace, medical, industrial and oil & gas markets. Holding the world’s most complete inventory of performance metals across a global service center network, T.I. delivers supply chain solutions at all levels of sophistication and complexity. With a globally experienced and technically drive team, T.I. has been providing dependable quality driven solutions to customers for over 40 years. The Timesavers Group has been providing wide-belt grinding machine solutions for the metal, titanium, molybdenum, zirconium, tantalum, zinc and tungsten, and plastic processing industries, as well as for a whole range of other materials for more than sixty years. Today, they can be considered to be one of the largest and technologically most advanced manufacturers of this type of machinery in the belt-widths 220 to 2600 millimeters in the world. Using pioneering technologies, unparalleled expertise, and unmatched services and support, they presently have more than 55.000 machines in service in a multitude of application fields that deliver some truly fine finishes. Titanium Metals Corporation (TIMET) is one of the world’s largest fully integrated titanium producers. Since 1950, TIMET has been leading the industry in mill and melted products, supplying nearly one-fifth of the world’s titanium. We convert rutile ore into sponge; melt and refine ingot and slab; and manufacture mill products. 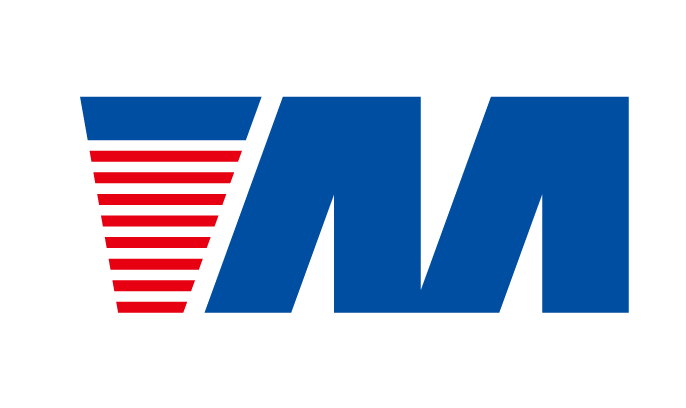 TIMET has a global network of service centers supported by its seven primary melting or mill facilities in Henderson, Nevada; Toronto, Ohio; Morgantown, Pennsylvania; Vallejo, California; Witton, England; Waunarlwydd, Wales; and Ugine, France. With products ranging from sophisticated high temperature alloys used in jet engines, to advanced corrosion resistant alloys used in the chemical industry, TIMET’s reach spans the breadth of the titanium applications, and has the technical depth to support developments across a wide range of applications. TIMET’s fully integrated supply chain, dedicated research facilities, and decades of experience make us the partner of choice for titanium. 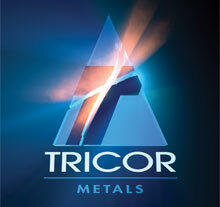 Tipro is a group manufacture titanium mill products. Our group subsidiaries TWW. TFC, MTCO. 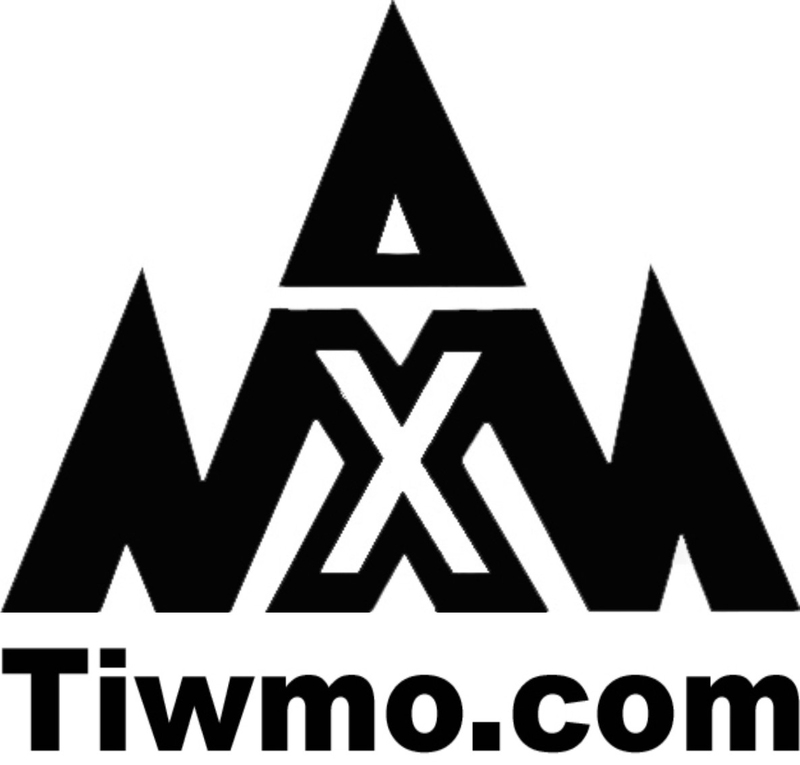 TWW : Tipro Titanium Wires specializing in produce titanium welding wires and bars. TFC : Tipro fasteners specialize in produce titanium fasteners and custom parts MTCO : Specialize in produce titanium powder HDH. With over 20 years of produce titanium and titanium alloy experience working for thousands of companies around the world. We have refined our processes and developed a proprietary software system to monitor and track every aspect of our projects. Our proven development process eliminates the guesswork, cost, and time delays, enabling us to stand by our quotes and assure delivery. It is our range of technical expertise combined with our product development process that differentiates us and enables us to always meet or exceed customer expectations. As a AS9100 and EN 9100 certified company, we are committed to serve the global aviation parts manufacturers. Our main markets are aerospace , medical, chemical industry and welding, we are not only a manufacturer but also a full service company with a customer first mentality. Our philosophy is grow with our partners and build our own complete global representatives. VSMPO-AVISMA Corporation is the world’s largest titanium producer, fully vertically integrated, from titanium sponge to all types of mill products, die-forgings and finished parts, including large machining facilities. The Corporation is a key strategic partner and approved supplier of leading companies in high-technology sectors like aerospace, aero-engines, power generation industry, chemical engineering, ship building as well as the medical industry. 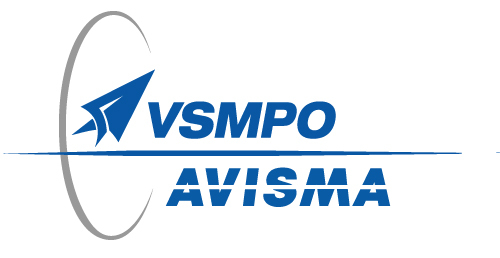 VSMPO-AVISMA holds more than 300 international quality certifications for quality management system, processes and products. In order to offer a best-in-class logistics and commercial service to its customers worldwide, VSMPO-AVISMA has an integrated sales and distribution network, named VSMPO-Tirus. With warehouses located in United States, Germany, England and China, the Tirus network distributes ingot, forgings, slab, sheet, plate, bar, and billet to the aerospace, medical, and consumer products industries. In North America, the VSMPO-Tirus US company also manufactures small diameter bar and coil for medical and aerospace fastener applications. We are a woman-owned, small business with facilities in Wooster, OH, Conroe, TX, Plymouth, MI and Oxnard, CA with over 25 years’ experience in the supply of titanium mill products, titanium forgings and fabrication of ASME Code equipment for the petrochemical, pharmaceutical, mining, aerospace, and bio-medical served markets. We provide quick-ship service center sales and processing of ASTM and AMS grades of titanium mill products and titanium forgings. We also design and build fabricated process equipment built with the most advanced corrosion resistant metals, provide reactive metal and high alloy welding repair services, and supply high performance welding wire. Our fabrication and distribution facilities are in Wooster, Ohio and Conroe, Texas. We also operate technical sales facilities in Plymouth, MI and Oxnard, CA. We maintain one of the world’s most complete inventories of titanium mill products in ASTM grades for corrosion including sheet, plate, pipe, fittings, bar, billet, wire, tubing, and fasteners. And we maintain staged billets for custom forgings. We offer advanced processing including water jet cutting, saw cutting, and shearing. We provide custom parts manufacturing and just-in-time inventory for ‘blanket’ order processing to meet our customer’s needs. We stock AMS-grades of titanium sheet, plate, bar and billet for aerospace and bio-medical served markets. voestalpine BÖHLER Bleche GmbH & Co KG is a world-leading producer of single cross rolled sheets and plates of steel and special alloys. The product range varies from tool and high speed steel to special materials for the energy, oil & gas and aerospace industry. Within the special material segment super austenitic and super duplex steels with high demands on corrosion and heat resistance, nickel and nickel base alloys for even higher demands and titanium and titanium alloys are manufactured. voestalpine BÖHLER Bleche offers CP titanium and titanium alloys from western world sponge production only, and possesses all required production facilities for rolling, heat treatment, levelling including vacuum creep flattening and surface finish, on site, ensuring highest quality and product standards. Western Metal Materials Co., Ltd.
Western Metal Materials Co., Ltd (WMM) is the leading rare metal new material R & D manufacturer in China. On 10th August 2007, the company became listed on the small and medium-sized boards on Shenzhen Stock Exchange (stock code 002149). Company has formed the diversified industry pattern by titanium industry (including titanium and titanium alloy metal processing materials industry, layered metal and clad metal materials industry, rare metal equipment manufacturing industry, etc.) as the main business, covering fiber metal and products industry, rare metal materials industry, refractory metal industry. WMM commits to the application and development of premium products that are essential for the important national defense and national economy areas involving nuclear power, military manufacturing, environmental protection, and marine engineering. It also provides first-class product manufacturing and service. Western Superconducting Technologies Co., Ltd. ( WST ), founded in 2003, is headquartered in Xi’an, China. WST is leading supplier of titanium and its alloys material including Ti6Al4V, Ti6Al4V ELI, Ti6242, Ti6246, Ti662, Ti811, Ti38644, Ti1023, Ti6Al7Nb, NbTi, TiNbZr in the forms of ingot, billet, forging, slab, bar, rod, wire and profile in the domestic & oversea market. Our products are mainly used in aerospace, medical, automotive industries and other critical industries. WST possess most advanced 10 tons VAR furnaces and series of high speed forging presses to manufacture 6000 tons ingots and 4000 tons bars per year. We have gotten the certificate of ISO 9001, AS 9100, NADCAP and ISO 14001, strict quality control system make largest assurance for our high quality products. WST’s titanium alloy bars hold over 85% domestic aerospace market. Xi'an Metals & Minerals Co., Ltd.
We are one of leading manufacturers and distributors of Tungsten, Molybdenum and Titanium products in China. Apart from processing traditional materials, we also develop new products with the help of high technologies. Relying on years of experiences, advanced technologies, quality equipments, highly efficient manufacture and standard management, we have established a comprehensive system of research, manufacture and marketing of Tungsten, Molybdenum and Titanium products, which are widely used in radiation shield, vacuum plating, illumination, metallurgy, IT, electronic, power, aviation, sports, glass, chemical and mechanical industries etc. Our products, well known for their excellent properties, have been approved by various international authoritative institutions and have been supplied to customers in many countries. 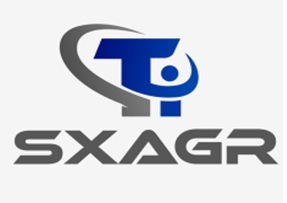 Xinjiang Xiangrun New Material Technology Co., Ltd.
Xinjiang Xiangrun New Material Technology Co., Ltd established in July, 2016 which is a professional company for research, development and deep processing on titanium products and it’s alloy. Xiangchen which is our associate company produces and offers Titanium sponge. The annually production is about 8,000t. Another associate company: Kechen Will manufactures pot, pan，bottle etc. Our main products are titanium and its alloy ingot, forging, bar, wire, hot rolled plate, sheet, coil and strip. Our products are widely application for petrochemical engineering, coal chemical industry, marine engineering, metallurgy, aerospace, medical equipment etc. Zhejiang Shenji Titanium Industry Co., Ltd was established in 2008. With the development and implementation of advanced production facilities and innovative technologies, the company has become one of the leading professional producers of titanium products in china, specializing in sheets and plates, bars and wires, tubes and pipes, and forgings. 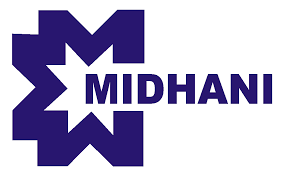 The company’s main production facilities include a reversible hot rolling mill, a 1.4-metre, 4-high reversible cold rolling mill, as well as associated normalizing and heating furnaces and straightening facilities. The company can supply customized sizes according to clients’ specific requirements, and offer thin sheets in cold rolled width up to 1,250mm. Shenji Titanium is certified to ISO 9001 and PED 97/23/EC, and our titanium products are widely used in many sectors and for many applications including heat exchanger, condenser, power generation, chemical & petrochemical, engines, medical, and sports. The construction of the factory was started at the end of the 1980s to produce Titanium and Zirconium sponge, ingots and further products from these materials. Today, ZIROM is exporting its quality products world-wide and enhancing its customer portfolio and its technical capabilities constantly. ZIROM produces ingots of various alloys in 2 diameters: 470 - 480mm & 570 - 580mm in 2VAR, 3VAR or EBCH-1+2VAR. The ingots from Titanium sponge incl master alloys are produced in the VAR furnace of the company. The company has vast experience in the production of ingots in a variety of grades. Our Open-Die forge produces the pre-materials for our round bars, slices, flats and emboss, which we deliver to our customers. The technology allows to control the process better and to achieve superior mechanical properties in our end products. ZIROM is one of the few recycling capacities in Europe. With our EB-CH and vast experience in reconditioning revert materi¬als, ZIROM makes sure that the resulting material is as good as new.